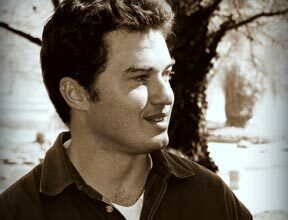 Project originator and manager, Jean-Francois Sobiecki is a natural medicines healer, ethnobotanist and research associate with the University of Johannesburg. His main research focus is psychoactive medicinal plants, cross-cultural healing and holistic medicine. Jean has over 20 years of training and research on South African psychoactive and other global medicinal plants and has produced a number of academic publications on his research. He is a member of and project manager with the Healing Africa Foundation. Jean has also used his knowledge of medicinal plants and holistic medicine in: developing employee wellness training programs for corporate clients, managing a nutritional intervention project with the University of the Witwatersrand, establishing an NGO focused on sustainable food gardens and developing educational media on nutrition and primary health care. He has his B.Sc. in botany and zoology from the University of Witwatersrand and his B.Sc. (Hons.) in medical anthropology and ethnobotany from the University of Johannesburg. Jean is additionally trained in permaculture design having obtained his PDC (permaculture design course) qualification, and has an international diploma in clinical nutrition. He is currently writing two books on healing plants and continuing his research on the healing dynamics of South African and South American psychoactive plant medicines. 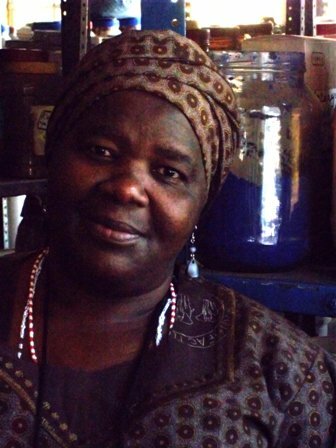 Letty Mamonyai Maponya was a true traditional healer who was a mentor to me and a close friend. She taught me much about African medicinal plants and healing and shone as an example of a healer who lived to heal her patients. Letty encouraged me to develop the Khanyisa healing garden project to study and utilize African traditional knowledge to help others. The Healing Africa Foundation is a non-profit, humanitarian-aid organisation. Our slogan ‘Healing One Person at a Time’ is about every person making a small contribution in their own way for the collective good of humanity. The Foundation is made up of a selection of skilled, passionate people that champion various departments of the foundation. Each individual adding different skills or areas of expertise from their expertise in that field. We strive to find individuals who have new ideas and high-tech sustainable solutions to the social, economic and environmental issues we face today. The Healing Africa Foundation is able to assist in the implementing of the project. Sicelo Simelane and Lisa Viola are directors of the Healing Africa Foundation, and Jean-Francois is a member of and project manager at the Foundation.